Get your typing speed and accuracy up to snuff with dozens of games and exercises. Emails, articles, reports, social media, basically any task that involves typing can turn into a real time drain. So it makes sense to improve your speed and accuracy at the keyboard. In the modern workplace after all, typing is a basic skill worth keeping sharp. Typesy Typing Trainer is an easy-to-use typing app that can help edge your 50 words-per-minute typing to more than 100. It does this through hundreds of specially designed typing activities, backed by personalized coaching. 16 games and activities target specific weaknesses to strengthen and skills to sharpen. They focus on different areas, from basic technique and speed to accuracy in spelling and more. By course’s end, you’ll get an advanced typing certificate from Typesy, a great resume booster. 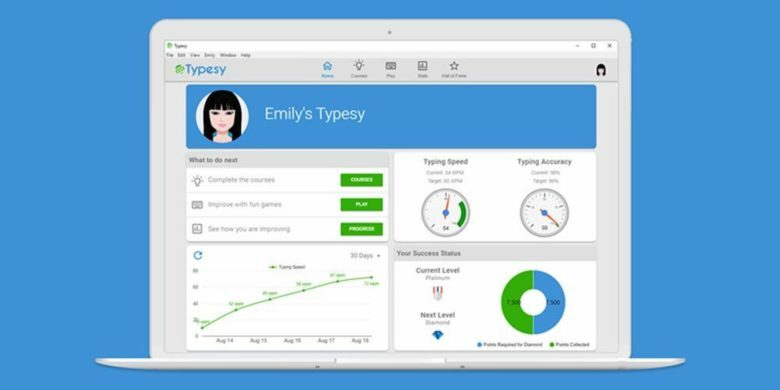 Buy now: Get a lifetime of Typesy Typing Trainer for $19.99, that’s a full 93 percent off the usual price.